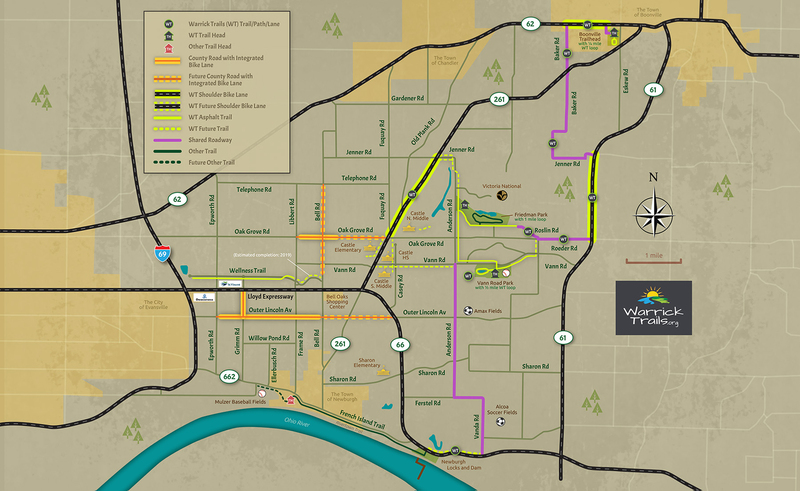 Warrick Trails is a network of trails and pathways that allow walking, running and bicycling through the region’s most scenic areas while connecting schools, parks, ball fields and gathering spots. As illustrated in the map below, new sidewalks, striped bike lanes, and upgraded intersections will bring the trail down 261 and past Castle North Middle School. It will then travel down Casey Road via a new trail behind Castle High School and all the way down to Castle South. Paved entryways from surrounding subdivisions will allow access for hundreds of families. 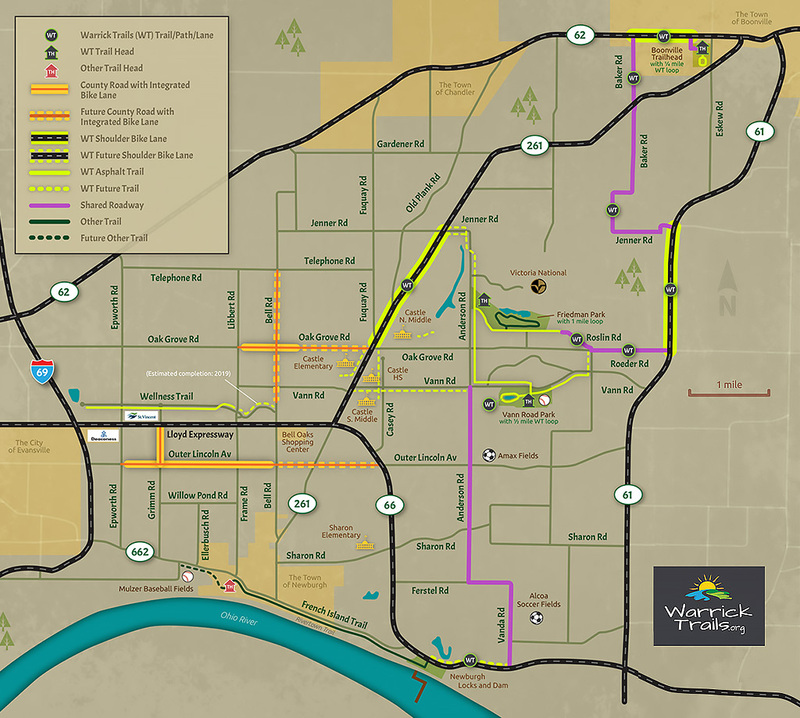 We are very excited to partner with Warrick Trails to provide pathways for our community. 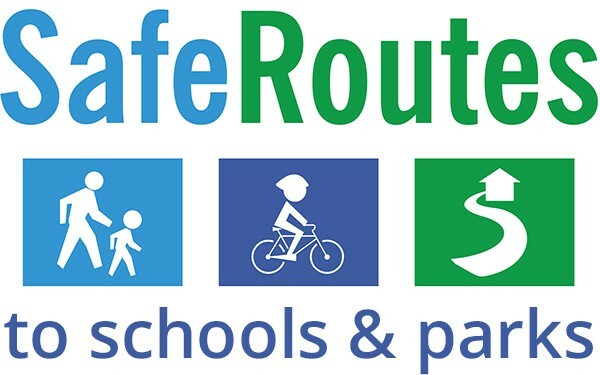 These trails and pathways will provide safe travel between schools, parks, ball fields, and other gathering spots for Warrick residents and guests. 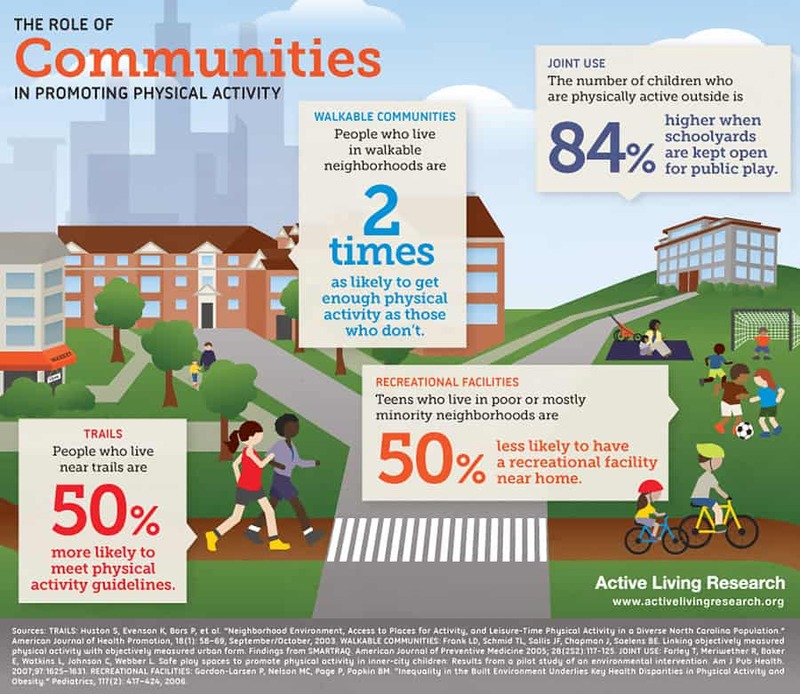 We are hopeful these trails and pathways will promote and encourage healthier lifestyles by allowing community members to walk, jog, run, bicycle and exercise close to home and be one more reason people love living in Warrick County.